In North American culture we usually equate success with accomplishment rather than with experience – unfortunately. My wife and I were fortunate to have lunch with Roland and Jose this past week. Jose is a recreational therapist from the Veterans Administration. 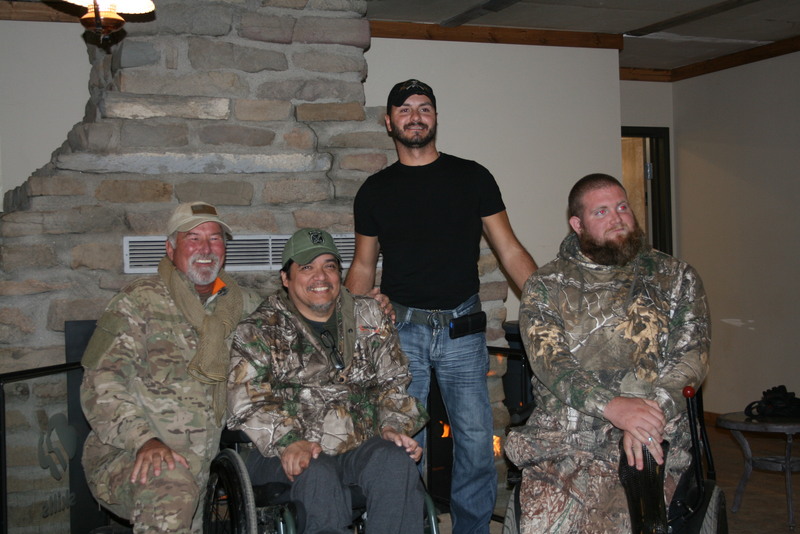 Roland was one of the wounded veterans on the last hunt. Jose was interested to hear from us about the hunts and our purposes. We were interested in seeing Roland again and some follow up to the hunt. We usually do not get the opportunity to see our hunters a week or so after the hunt, when the mountain top experience has not worn off. And I assure you, it has not worn off of Roland. I remember his reservation upon arrival at the hunting camp and contrast it with his countenance when we met at lunch last week. It is our hope that these experiences are truly life changing. By life changing I mean these true American heroes leave with a feeling of appreciation for their service and their sacrifice and they are pushed to attempt new things and new levels of physical exertion. 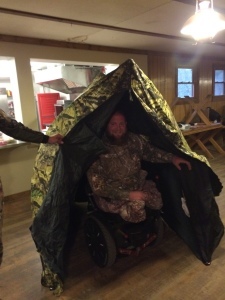 On the subject of their sacrifice – I have had the privilege of being present on 4 of our 5 past hunts with 14 hunters and each one of them says the same thing when they are told, “Thank you for your sacrifice and service.” Each one says, “It was my job and I would do it again.” How amazing! If you aspire to be a Servant Leader, here is your living example. These men have truly sacrificed for you and I – that is a servant. As we were leaving the camp area in October of 2013, I was riding with Johnny. Johnny was wounded in Iraq and is a lower leg amputee. Johnny looked at me and said, “I thought I was going on a hunting trip, I did not realize it would be therapy.” I replied with, “It is our hope that you will have some spiritual therapy here in the mountains, some emotional recovery, feel appreciated for your sacrifice, and reconnect with God.” Johnny replied, “That is not what I meant. That little hike you took me on the first day was tough. After that, I can do anything.” What to me was a fairly slight grade, although at 10,000 plus feet elevation and a bit of a chill – below 15 degrees, it was a fairly easy hike. But for him it was a test of will and endurance. And it has been my experience with these guys, they never say quit, it is too much, nothing of the negative, just march on. What if the rest of us spoiled Americans could look at the minor difficulties in our own lives with such fortitude? Jose made a comment during lunch last week that Roland is a true American hero. Jose went on to say that we have many monuments to men and women who served, but they are all past. Men like Roland, true American heroes, are here with us and we have the opportunity to honor them as the heroes they are. We live in a culture where we idolize athletes and celebrities, many who have done nothing other than entertain us. We need to recognize the folks that sacrifice for our daily lives, folks who serve in the armed forces, serve as police, firefighters, teachers, all who truly serve as there is no way a thinking person with their own self-interest in mind could enter one of those professions for the money. So, thanks to Roland, Will, Alex, Colton, PJ, Armen, Johnny, Jonathon, Ed, Jason, James, Travis, Todd, and Jarvis, all men and women who were wounded in service to our country. And thanks to men like Cone and John who served a full career in military service and now serve these men who sacrificed so much. It has been said a picture is worth a thousand words, here are a few. 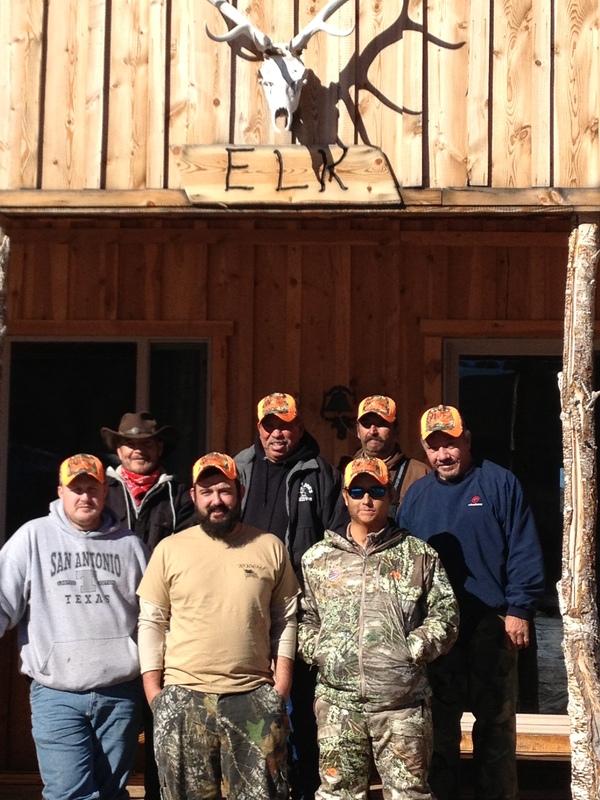 We just completed the final elk hunt of 2013 with wounded veterans. 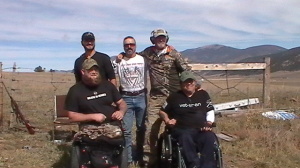 We had 2 combat wounded veterans and 1 who will soon be medically retired on an elk hunt in northern New Mexico near the Colorado border. We were Blessed to have donated tags and access on private ranches for the hunt. The weather was grand, a bit brisk near about 15 below zero on Saturday morning up to about 15 degrees above on Wednesday morning. There was quite a bit of snow, although the sun was out and shining every day. We stayed in rental cabins next to a frozen creek, were hosted and guided by some great folks with true giving spirits; a grand time was had by all. 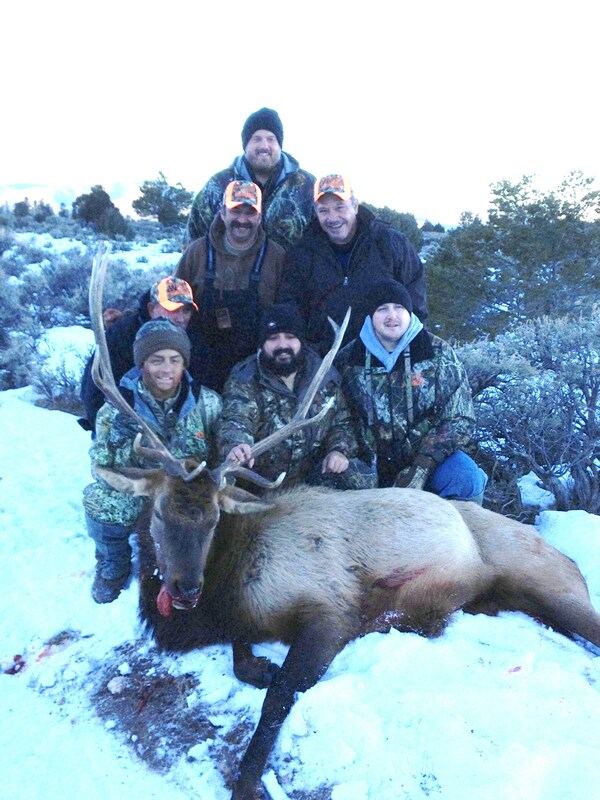 This was the second year and third elk hunt for the Mountain Top Safaris project that I have participated in and the 4th hunt overall that the Staurolite Foundation has sponsored. 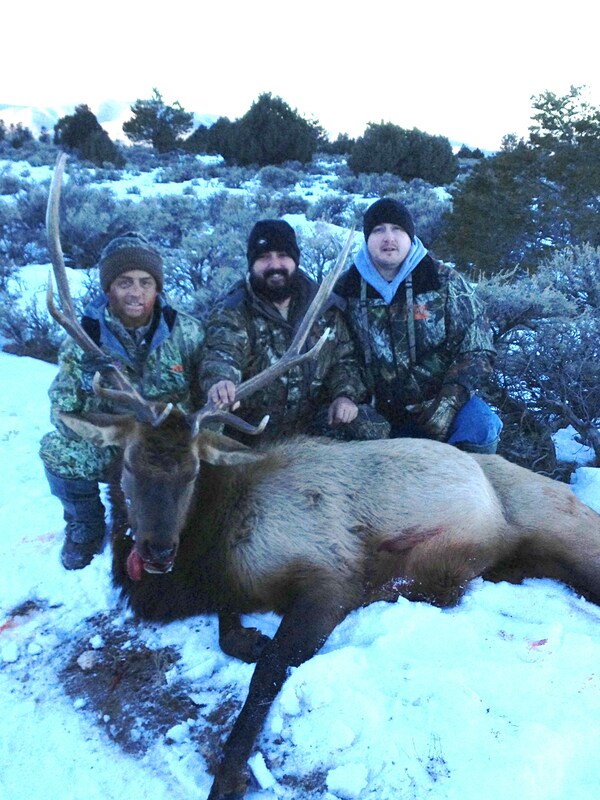 The elk cooperated, largely due to the quality of guides. In case you were wondering, I was not a guide. 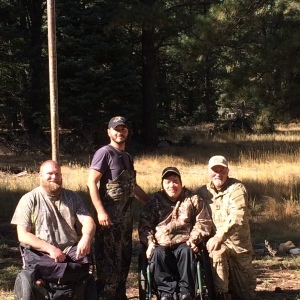 We had 4 veteran service men that live in the area of Costilla, NM who guided, donated time, allowed access on their own property, donated tags, and generally helped make this hunt a success. 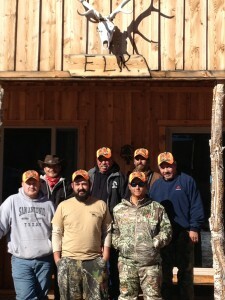 We had a great family in the area who donated elk tags and hosted all of us for a meal every evening. We had donors who provided jackets, t-shirts, caps, groceries, and time to gather all these things and deliver them to the area. The hunt was a great success by all standards. 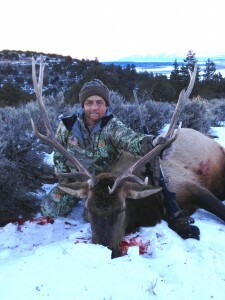 And the elk cooperated. 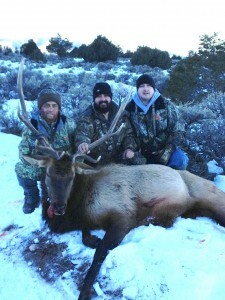 Our hunters took home a nice bull elk and one cow elk. 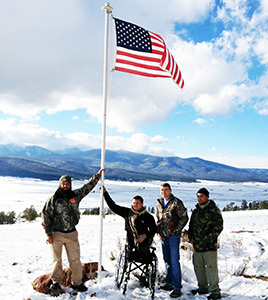 The purpose of these hunts is to show appreciation for the sacrifice and service of these wounded veterans and to allow them time in the beautiful mountains of northern New Mexico. Hopefully, our Lord and Savior Jesus Christ is honored and all of us who participate in some form or fashion have the opportunity to grow closer to him as well. It seems to me that all goals were met. Our hunters, names purposefully not included out of respect for these men, included one young man who was wounded working as a nuclear electrician on the aircraft carrier Nimitz when the main electrical panel blew up in his face. After spending months recovering from the burns over 65% of his body, he began to serve other wounded service men and women as well as Gold Star families. Our third hunter on this adventure received physical injuries while serving but quietly explained the emotional issues that still haunt him are what continue to limit his activities. This young man had not hunted a lot and the hunt was an opportunity for him to have new experiences and continue his emotional recovery. His physical limitations were not apparent, although they were present. 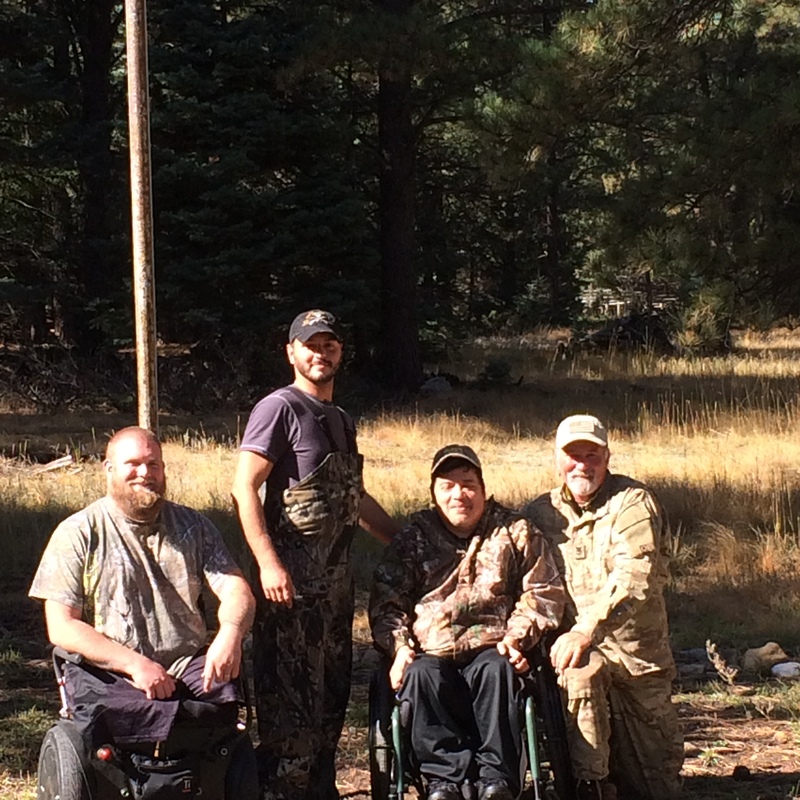 Every one of these hunts brings home to me the true servant hearts of these men, warriors all, but truly servants. I am amazed at their lack of self-pity or even lack of self-concern. They drove 15 hours on Thursday, awoke early on Friday, actually much earlier than I wanted, raring to go. They were up early, hunted hard all day, and slept little. 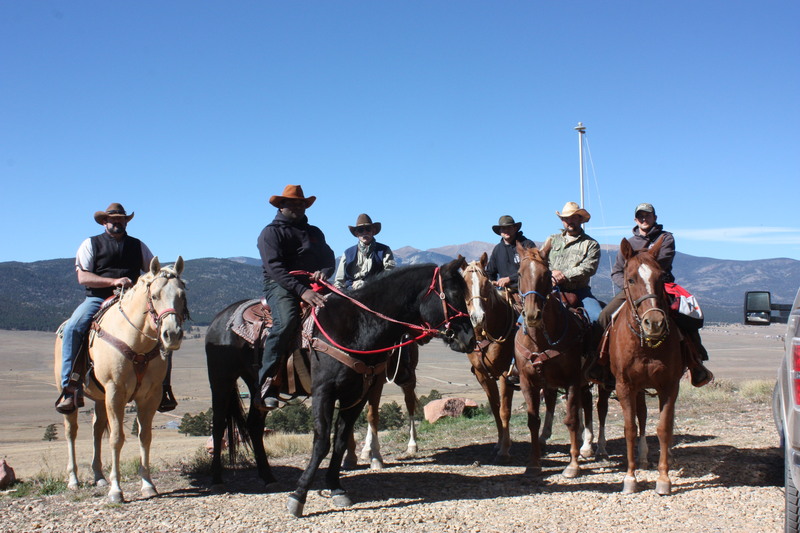 In a normal situation after a long drive, little sleep, and a lot of exercise in terrain and altitude that is way different from where we live, folks will begin to be a bit irritable and even short tempered, not these guys. They were always upbeat, appreciative, and just glad to be there. 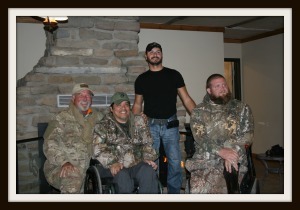 What a Blessing to those of us who were honored to provide support for them on this hunt. These hunts are not possible without donations of time, energy, expertise, goods, and plain ole’ genuine care and concern; we had all those things and more in major amounts. 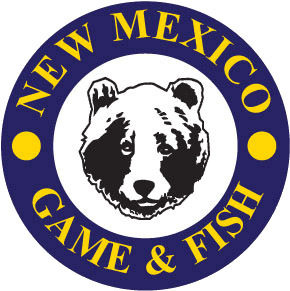 Thanks to Nemmi, Danny, Art, Steve, Gerry & Alyssa, Rachel, Joe, New Mexico Propane, and Urban Solutions for all their support. Special thanks to Pete and Greg and the folks with Steele Consulting and Responsive Learning for our website. Because of them, we are able to post pictures and provide updates soon after the hunt. If you have any interest in supporting these hunts, we welcome your support through prayer, in person, or by a donation. May your Christmas be Blessed and New Year prosperous. Please remember, you have the ability to enjoy this Christmas season and all the people, time off work, grand meals, and gifts due to the sacrifices of men like these and so many others.